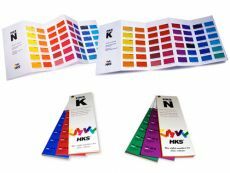 The companies Hostmann-Steinberg printing colors, Kast+Ehinger printing colors and Schmincke & co. founded the HKS trademark association in 1968. 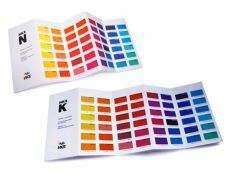 The producers once used 88 individual spot colors for the offset printing. 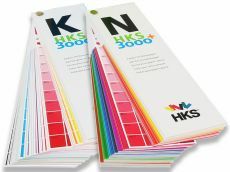 The colors can be found in the classical color fan of HKS. 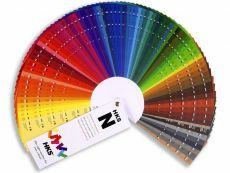 There are four different ones. 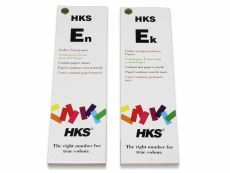 They differ according to the paper quality and the printing process. 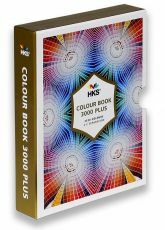 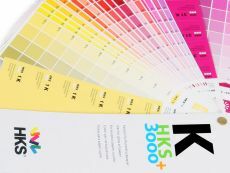 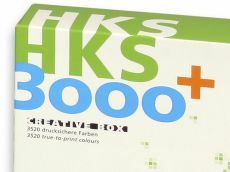 The color pattern products are differentiated between the varieties HKS "classic" with 88 colors and HKS 3000+ with 3520 color nuances which are based on the 88 longer existing standard colors.